I've done a lot of thinking (I know, that can be dangerous) about the direction of my blog, and I know I want to focus more on the simple and serene living aspect of it. 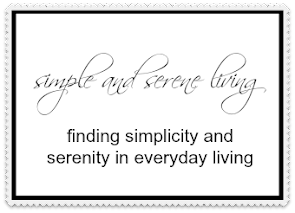 I want to help all of you and help myself have a simpler and more serene life going into the future. When I was in Atlanta I looked at a couple of apartments for people age 62 and older. One woman who showed me around refused to believe that I was over 62, but I am, and as I have chronic pain I want to live in a small space and not have worries. I also want to live near my daughters and grandchildren because that is where I am happiest. The apartment that I like has a waiting list and it will be a year before I can get in, but I plan to use that year to plan my move. I will be saving and downsizing as much as possible. 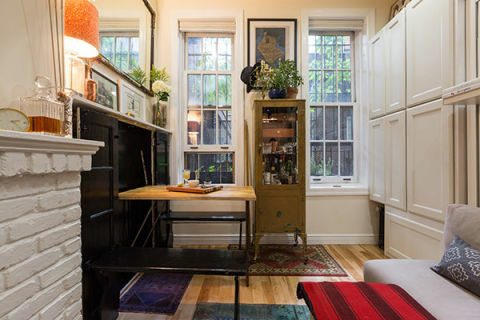 The apartment is 550 square feet. Pretty small, but large enough for my needs, and it will be mine, so I can decorate it the way that I want. With that in mind I will be doing a series on small spaces. Today's apartment is half the size of the one I am looking at. I don't think I could go this small, but it has some great ideas. This was found on redbook.com. I'll let the photos speak for themselves. So many beautiful ideas. The one thing this apartment has that I won't have is a gorgeous outdoor space. Maybe I can find a neighborhood garden to join. That sounds like fun. That would be so nice for you. I know you would enjoy a small place of your own. And you'll have fun decorating it and making it your own. Something wonderful to look forward to ! Happy New year! It is something to look forward to. I will love having my own space again, no matter how small. Happy New Year!! We just moved in August into a patio home with about 1100 square feet. We love it. I can still use tips and will enjoy your posts about this. Good for you for starting now. We decided in April to move, house on the market in May and it sold in July. What a whirlwind. I made daily trips to Goodwill to donate stuff. Finally my brother sent an antique dealer with a truck to haul off the furniture/collectibles and my son rented a moving van to take our dining room suit and family room furniture. Now I still purge every month. I wish you the best of luck as you start this new journey. I'm confident you will love your new apartment. Oh that sounds like a great idea to move to a smaller space close to your family. If it's just yourself, you really don't need a large space. I hope that this year allows you to get closer to that happening! Love the pics you shared. 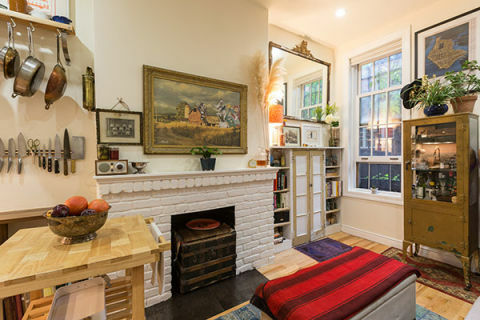 I downsized and could even go further....there is something about quaint smaller spaces that add all the beauty and inspiration one needs to last a lifetime. 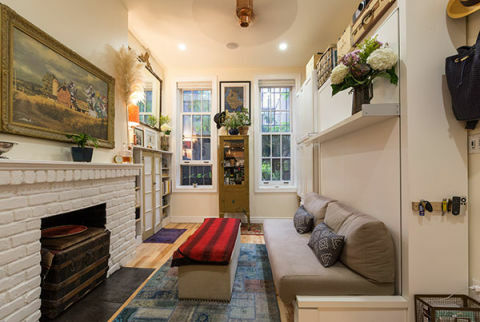 I love your inspiration photos, when small spaces come with this much charm who couldn't resist not wanting to downsize. Keep inspiring your world, pain does a body well when one is inspired. I love the charm of that space too, Dore. I will have to create my own charm, but I think it will be fun. 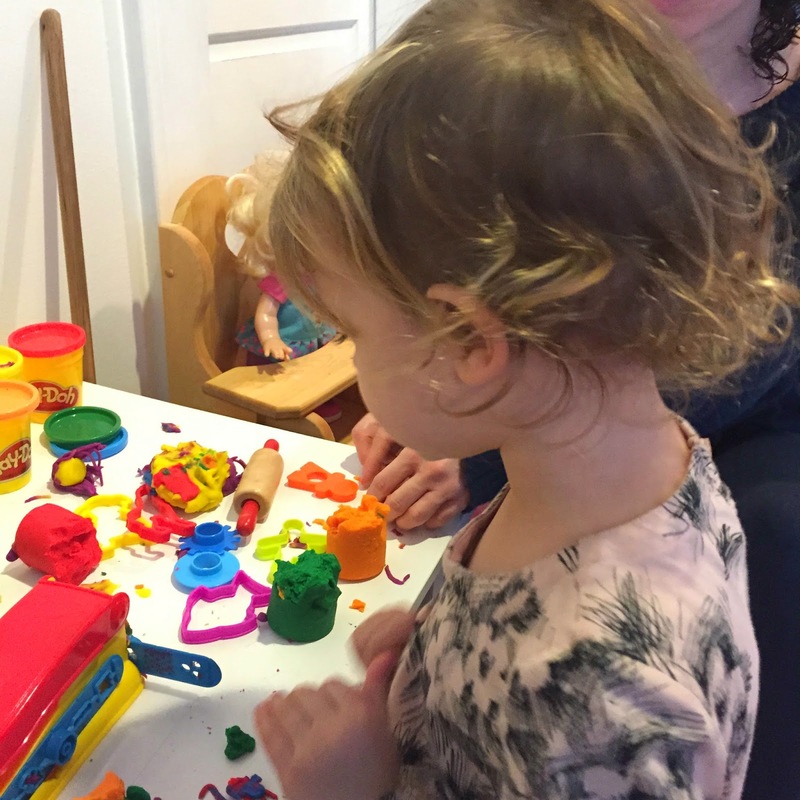 Laura, we have discussed how we are doing so much of the same things...moving close to our family and grands and downsizing. Living simpler lives! My duplex that I rent is about 1000sq ft and since I need a 2nd bedroom for visitors it's working out well. I downsized so much but I STILL have too much stuff. Slowly getting rid of it and feeling so much better. I love living alone and having things how I want them. I'm so happy here. Will you still have your online shop and if so where will you store your inventory? Just curious. I'm excited to follow along with you this next year. Pre-planning will help so much. As you know I also downsized my Mom this year, so much work but we are both adjusting to the change. It is so hard to get rid of things, Linda, but it can definitely be freeing. I can't wait to be on my own again. That's exactly right. It is being near my family that is the most important . I have no doubt that you would enjoy living next to your family. And, you would make that space fantastic. Laura, I think that you can do it!! There are apartments in Vancouver that are only a couple of a hundred square feet...every inch counts right? 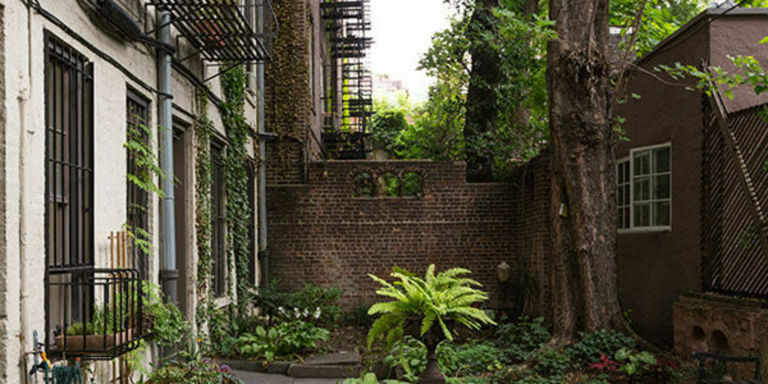 Maybe you could have a window garden or a patio garden? By the way, my motto is: Bigger is not better. Smaller is. I think many people are finding that smaller is better, Brenda. I am definitely planning on having a window garden. It's sounds lovely, mostly because you will be with your family. :) I know you can work wonders with any space. :) Happy 2015 to you! It sounds like this will be a wonderful & exciting & your family! Laura...I am so happy that you are going to be making a move closer to family...it's everything, isn't it? I think the space you are talking about is perfect. We currently live in our "starter home". There were times I thought I would lose my mind with the lack of space, Now that we have just one child left, it's just perfect. I wish I had more room for company, but that's not an often happening. And the great thing for you? Less cleaning!! Keep us posted...this is going to be adventurous, just the planning! The apartment that I am looking at is a one bedroom so it definitely has more space. I hope that you're able to sell your house and find the perfect place., Debby. How fun, Laura. Let’s play. Replace the convertible sofa with a good size chaise with shabby chic quilts and pillows for reading and sleeping. The fold down workspace would make an excellent computer station/desk with filing space underneath and an old oak desk chair on casters. I like the butcher block cart but would swivel it to separate the kitchen from the living area and add a stool to make it an eating bar. Definitely replace some of those cabinet doors with glass (to, um, keep you tidy ~ yes, Laura ~ I know you well). Indoor greenery and your own light and lovely decorating style would totally make this work for you. 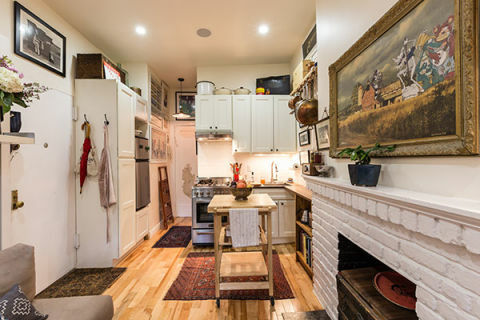 I can’t wait to see what other small spaces you come up with. This apartment has a lot of charm. I lived in a 420 square feet apartment before I found Cottage and I was very happy there. 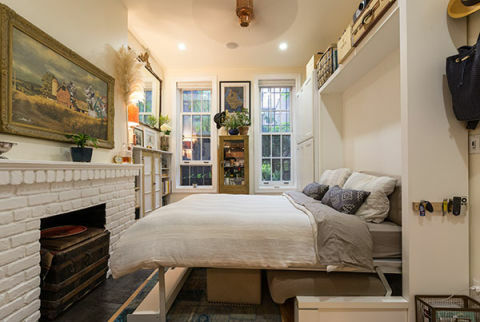 I know you'll find a way to make a small space your home when you're given the opportunity! Thanks, Magali. I am looking forward to it!